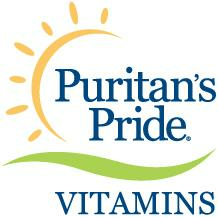 Founded in 1973, Puritan’s Pride has thrived by providing customers with quality vitamins, caring service and value pricing. Our more than 1,500 products are manufactured here in the USA with ingredients sourced from around the world. We have been trusted and loved for more than 40 years because one thing has never changed... Our mission to make the highest quality nutritional supplements available at the best value.